Have you ever wondered why you are going through a particularly hard time? I believe that trials are one of God’s methods of molding us into His image. I don’t enjoy trials, but I do enjoy the results. Because of some of the trials my husband and I have been through, we now have greater faith in God, and more joy in our daily lives. I have had several people ask me about our family (I guess I just don’t look like a grandma!) so I decided to share some of our story. It is a story of God’s planning, and although parts of it were hard to wait through, the result (so far) is amazing! 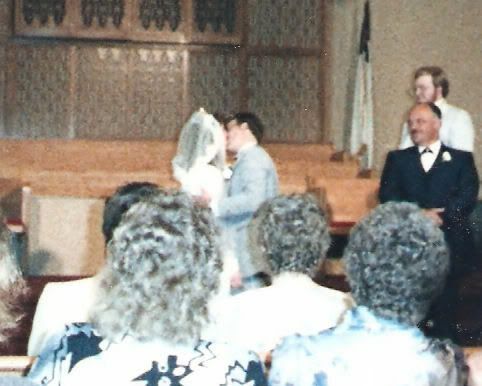 Ken and I were married in Fairbanks, Alaska in July of 1988. It was a fairy-tale wedding, and we were the happiest of happy newlyweds. We had thought we would have children right away, but we weren’t too concerned when we didn’t get pregnant in the first year. I was starting to wonder when it would ever happen when I discovered I was pregnant in May of 1990. I was ecstatic! I went straight to my mom’s office to tell her about it. Mom was happy for us, but because I was only 4 or 5 weeks along, instead of jumping for joy, my mother said, “I wouldn’t tell anyone until you’re about 3 months along.” I was a little discouraged that she wasn’t rejoicing with me, but I knew that she’d had a series of miscarriages, so I could understand her caution. But that was her story, not mine! So of course, we did tell people. We got to enjoy that excitement for 4 weeks before my pregnancy ended as so many of my mother’s had. I was totally devastated to lose that baby, but I knew that I was only 21, and would have plenty of time for babies. But, over the next 2 years I had 4 more miscarriages – just like my mother. Boy, did I learn a lesson from what had seemed like harsh words from my mother! In late 1991 our church suffered a terrible split, and ended up closing. We felt that God was calling us to move to Montana to be a part of a new church, so in June of '92 we sold our home, packed our clothes, dog, and cat in our Honda Accord, and moved to the Bitterroot Valley in Western Montana. More childless years passed. During that time we didn’t even get pregnant, but my desire for children didn’t diminish, either. 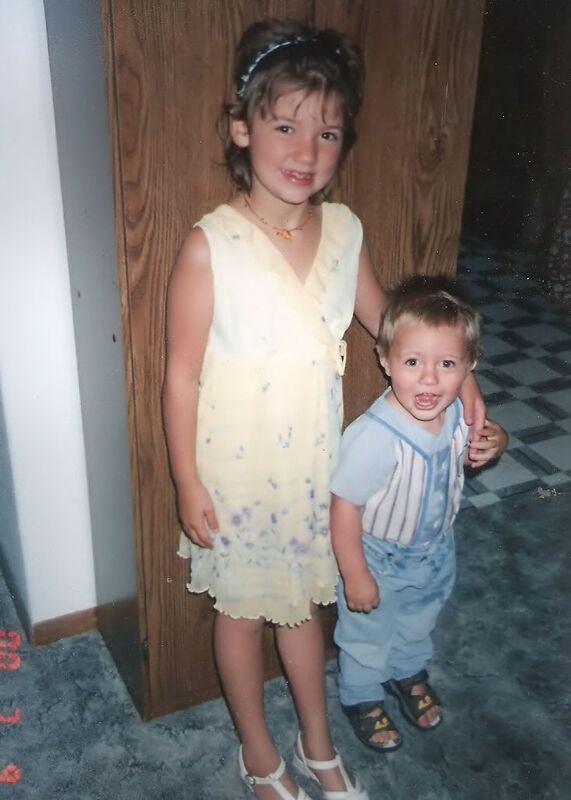 In 1994 we took the foster and adoptive parent training course through the state of Montana. We enjoyed the training, but we never received any calls about children needing placement, so we went on with our life as parents to our two dogs and two cats. By the time we’d been married for 10 years and still had no children, I had gone through many bouts of grief, including the denial, bargaining, acceptance, and back around to the beginning (almost monthly!) again. I eventually settled on acceptance, and decided to let God have His way. That was very hard, but since I became a Christian I have truly wanted God to have His way with me, and that had to include giving my dream of children to Him. In 1998 we decided to look into foster parenting again. We began the training again, and realized that this was really what God wanted us to do. We were excited, but after having been just a twosome for 10 years, we were also nervous. We certainly didn’t want teenager! Everybody knows that teenage foster children are a nightmare! We’ve seen the news and heard the stories! Before we even finished the training, we were called and asked to take a difficult 4-month old baby who had Cytomegalovirus. He couldn’t be cared for by any woman who was pregnant or who might become pregnant because CMV is one of the leading causes of retardation in unborn babies. Since I hadn’t been pregnant in 6 years, and had no expectation of getting pregnant, this was fine. We brought Baby G. home, and ended up only having him for 2 days. It was a fun introduction to foster parenting, and in that 2 days, we were able to work out some strategies of care to help his birth mother deal with him. We took him back to our social worker, and thanked God for the time we had with Baby G.
What on Earth is a NICU? A few months after Jenny came, we got a call about a special needs baby in the Neonatal Intensive Care Unit (NICU) that was going to be ready to go home in a few weeks, but he needed a safe home to go to. We were very excited about a baby! All three of us went with our licensing social worker to meet this needy little man. He had been born 12 weeks early with more medical problems than I have time to list. When we met him he was 3 months old, and weighed less than 6 pounds. I spent most of the next few weeks with him in the NICU, learning how to take care of him and his equipment. (He had more bells and whistles than a than a brand new locomotive!) We finally got to bring him home when he was 4 months old. Boy, was he an adventure in sleep deprivation! He’d been in the nightless NICU all of his life. He had no concept of day and night, and he needed to be fed every 2 hours. It took him an hour to get 2 ounces of formula down, so we were literally feeding him half of each day. Ken and Jenny were busy all day (work and school) so I did 95% of his care. 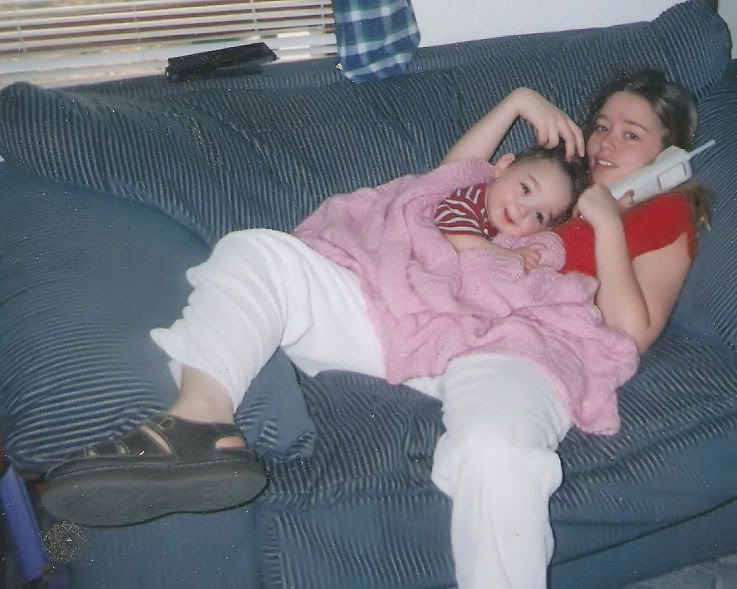 I was exhausted, but I loved having a baby to care for. During one visit to the pediatrician (he had to go weekly in the early months) she commented on how aware I was of his habits and tendencies. I told her it wasn’t hard to be aware when you did nothing but stare at the baby all day. He was beautiful and wonderful, and I was so in love! He wasn’t “ours”, but all indications were that he was going to become adoptable, and we fully expected to adopt him. We thought his given name was a bit old-fashioned and cumbersome for a little guy like him, so we chose to call him Andrew. We had visits with his birth mother fairly often, but she wasn’t really trying too hard to follow the plan to get him back. As he grew, we noticed that he wasn’t achieving milestones on time, so we had him evaluated, and got him into physical therapy. That was a lot of fun! Therapy with an infant is not like a grown up having therapy after an injury – it’s just all play and fun! Andrew and I learned a lot from “our Holly” (physical therapist). About a year after Andrew came into our family his birth mother had a court date to decide whether or not the judge would terminate her parental rights. We were excited because we had known all along that she wasn’t doing what she needed to do - probably wasn’t truly able to do it on her own - and would not get him back. That may sound callous, but she really wasn’t able to care for him, and we wanted him permanently. We were waiting anxiously for the phone call from the caseworker! I thought the loss of my precious boy was going to kill me. It was even harder than losing the 5 babies, because I knew Andrew! He was Mommy’s boy, and I knew his every mood and method. At that time, Ken was working full time, and Jenny was 17 and had her own life, friends, schedule, so I was home alone a lot. I spent many afternoons lying on my bedroom floor crying. I tried to pray for peace, but I didn’t get it. I suppose that was my own fault too – I wanted God to put a Band-Aid on my owie, but I didn’t really want to deal with my loss. Eventually, Ken and I started talking about it, and we were able to deal with it for the most part, but it was still very painful. We never did really succeed in helping Jenny work through it. In that situation, we failed her. We weren’t sure we wanted to continue doing foster care at that point. We had to keep our license current because we wanted Jenny to stay with us, but when we received another call about a brother and sister, we said, “No – we’re not ready.” Six weeks later, the social worker called again – the sibling pair still needed a more long-term home – would we reconsider? We met with the charming little kids, and decided we could take them in while their mother was working on getting them back. Fancy was 7 years old, and had some pretty serious emotional needs. (Fancy saw a therapist for several years, and was able to overcome most of her emotional problems. Praise the Lord!) Dale was 2, and as cute as could be. His language skills were delayed, as were some of his gross motor skills, but we had a child development specialist come in once a week to help us with those things. During that time, we were still really grieving the loss of Andrew, and Fancy and Dale didn’t get our full time and attention, but as the weeks passed, we all started to pull together and enjoy each other. Fancy and Jenny had some difficulties, but Jenny had been the only girl, and Fancy could be difficult, so that was understandable. That friction was relatively minor, and Fancy came to idolize Jenny. Ken and I worked with Fancy and Dale’s mother to help her get her children back. We had her over to our house, taught her some of the discipline strategies we used, helped her make healthy meals, included her in birthday celebrations… We really tried to give her the skills she needed to be an effective and healthy parent. Unfortunately, she just wasn’t able to meet the requirements, and her rights were eventually terminated. At that point, we began working on adopting Fancy and Dale, and finally got that accomplished about 2 years after they came into our home. Life as foster parents is never boring! Jenny went off to college in August of 2001, two short months after Ken’s parents moved to our area. We missed Jenny, but we had a nice little family of 4, and frequent visits with Nana and Grandpa. Then, in October of 2001 we were asked to take care of a little boy while his infant sister was hospitalized and Mom had to be with her. His name was Austin, and he was a funny little 2-year-old who had some language problems and other delays. He was kind of grouchy and goofy at first, but we had fun with him. He would throw the tennis ball for our dog for 2 hours at a time! It was a great way to entertain him and the dog! We got to know his mom a bit, and when the baby was released from the hospital and Austin got to go home, we tried to be around to help her. We had Sunday dinner with her (at my in-laws house) the next Sunday, and were dismayed to discover that the poor baby (6 weeks old) was left in her car seat the entire 3 hours we were together. The sickly-looking baby never cried, and Mom never picked her up or even acknowledged her presence. We felt bad for that sweet baby, but we didn’t feel that her mother would let us take care of her at that point. The next day, I received a call from Austin’s caseworker saying that Austin’s infant sister was hospitalized again. The caseworker had gone to see her, and found the baby as sick or sicker than when she was hospitalized the first time. She wanted to know if we would take the baby into our home when she was released from the hospital. We agreed, of course! I spent the next couple days at the hospital with baby Kristi, and when she regained her birth weight (at 7 weeks old), we were able to bring her home. I have never seen another person who looked as pitiful as that tiny baby. She truly looked like a skeleton with a layer of skin over it. It was possible to see all of her bones through her grayish, translucent skin. The first time Dale, who was 3-and-a-half, saw her without a shirt, he said, “Why her ribbons (ribs) out?” It was funny, but a sad fact. We were feeding her every two hours, just as we had done with Andrew, and because of her latching difficulties, it took Kristi an hour to feed, too. Once again, sleep deprivation became a way of life, except now I had 2 other young people expecting me to take care of them too! Ken was still working full time, and Jenny was gone to college, so it was all me. Fancy had to get to school, Dale to Head Start, Kristi had to be fed all the time, and there was no time for me to use the bathroom, let alone rest! By God’s grace, and with Nana's help, I made it through the first six weeks with Kristi, and she finally started feeding on demand so I didn’t have to force feed her and keep her awake. She was getting healthier by the day, but she was at least 6 months old before the doctor said, “I think she finally has some subcutaneous fat!” and (to skip ahead) she was 3 years old before she finally got on the growth chart! What Do You Do With Birth Parents? During those first few months with Kristi we also had regular visits with her birth mother and Austin. 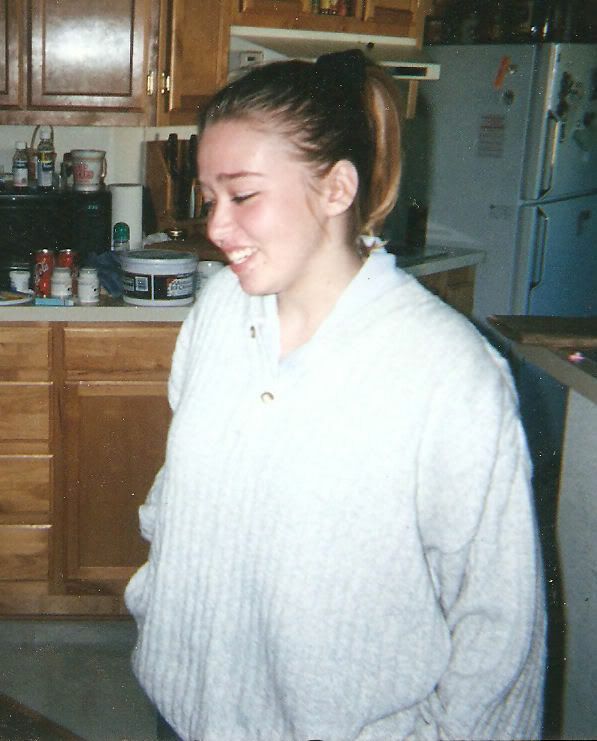 Kristi was very sensitive to smells, sounds, and stress, and those visits were very hard on her. Her birth mother had several cats, and apparently had no litter box, because she and Austin both smelled like cat urine all the time. Kristi would start crying at the beginning of each visit, and would be inconsolable until they gave her back to me. I would take her outside, cradle her, sing to her, and calm her, and then give her back to the social worker. I ended up waiting at a local burger joint for the inevitable phone call – come and calm Kristi for us. The poor baby would take 3 days to settle back to herself after each visit, and then the next week we would do the same thing. After several professionals tried to help Kristi’s birth mother learn the skills she needed, it was determined that she was just not able to do it on her own, and Austin’s safety was at risk. He was removed from her care and placed with us again. We were happy to have him, but now we had 4 kids! Zowie! Austin was a little sweetheart, but he could be really grouchy and strange. He couldn’t speak (he was almost 3 years old by this time), and it appeared that he had a serious speech/language disorder. We taught him a few signs – necessary ones like “milk”, “help”, “eat”, “more” – and we had a new boy! Once he was able to communicate with us, he stopped being grumpy! A couple months later we had his eyes tested, and discovered that part of the reason he seemed “strange” was that he couldn’t see well, and he was always trying to get a better view of things. Glasses gave us an even better version of the lovable little man. As foster parents, our biggest stressor was often dealing with the birth parents, but we realized how important it was. Unfortunately for Austin, after he was removed from his mother, we never heard from her again. It made things easier for us, but it has robbed Austin and Kristi of a portion of their heritage. Although we don’t know much, we still do our best to tell them about their birth parents. We now had quite a large family by my standards. Jenny had spent one year at college and decided that wasn’t for her, so she came back to live with us during the summer of 2002. We remodeled the garage to make a room for her – our 3-bedroom house just wasn’t big enough! Fancy enjoyed a room to herself, but Dale and Austin shared one, and Kristi was in our room. It worked, and we loved having our 5 kids! Kristi and Austin both needed therapy for their delays, so they were both in Physical and Occupational Therapy twice a week, and Austin was also in Speech Therapy. We had quite a full schedule, but we had fun with all of it. It was interesting, but tiring. It was during this time that I was able to lose 50 pounds of my extra weight, and I was feeling very healthy! Good for me! To celebrate my weight loss, Ken and I parted out our children and spent a weekend in Coeur d’Alene, Idaho. Ahhhh…the peace and quiet! 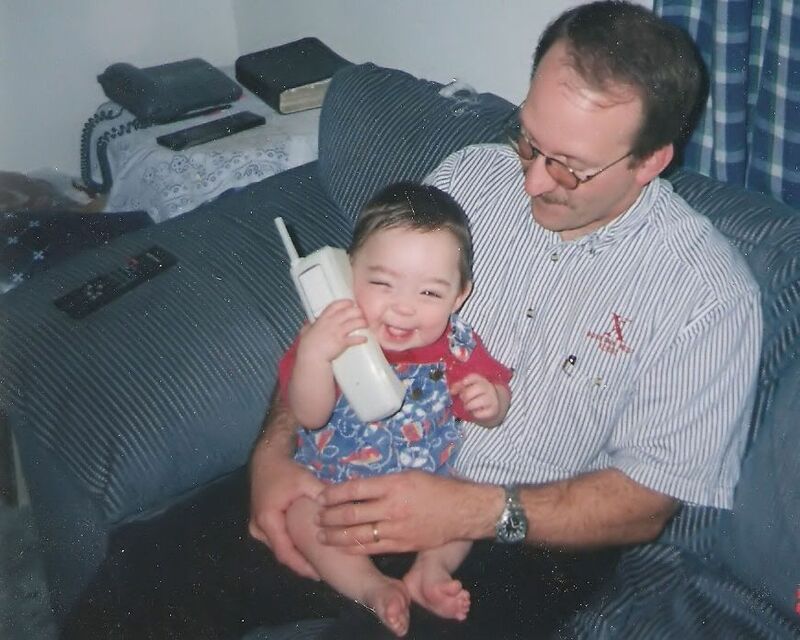 In mid-August 2002, I got a phone call from a social worker in Arizona. Huh? She told me that our Andrew was in the care the state, and she wanted to know if we would consider being his foster parents again. I told her I wanted my baby back as soon as possible! Of course, he wasn’t a baby anymore, and as soon as possible can mean 4 months of hoop jumping and red tape, but we now knew our first son was coming back to us! We were so excited! My excitement was tempered a bit by a stomach virus that hit the whole family (yuck! ), but for me, it didn’t go away. I felt awful for several weeks. I didn’t really want to hear what the doctor might say, so I kept putting off going. I was really beginning to think I had something dreadful – stomach cancer or something – and I really didn’t want the doctor to confirm that. If I never went to her it wouldn’t be true, right? After six weeks of constant illness and extreme fatigue, I decided to try one more thing before giving in and calling the doctor. We didn’t have medical insurance, so I decided to spend $6 trying to diagnose myself – I bought a pregnancy test. Of course, that couldn’t be the problem because I hadn’t been pregnant in 10 years, and I had never been really sick with any of my previous pregnancies. It was just a last ditch effort to deny what I was sure was the real problem. But wait! Did that say what I thought it said? No, it couldn’t be! I couldn’t possibly be pregnant! I was 33 years old, the mother of 5 children, with another scheduled to fly in from Arizona in December. That was going to make 6 kids at home before the baby! A baby? Me? Us? We went to the doctor to confirm it, and she said, “yup, it’s true!” She wanted me on extra hormones (injections – yow!) to protect the pregnancy, but otherwise, she said all was good. I was 8 weeks into it before I even knew – almost past where I had lost all the others! Ken and I decided not to say anything to anyone except our parents until we passed the 12-week mark. Yeah, right. I did okay – I told his mom and mine – but Ken couldn’t stand it. Before we reached week 9 everybody within a 50-mile radius knew! Oh well, all was going fine, and it looked like this was going to be a successful pregnancy. My doctor keep assuring me that the horrible nausea was a good thing! She found it amusing! Good for her! I was totally miserable and couldn’t cook anything. Jenny and Ken did all the cooking in the first 3 months of my pregnancy. It’s a good thing they knew what to do! At this point, Kristi was a sweet little thing just approaching her first birthday. Because of some of her disabilities, she had a real problem with food textures, and she would only eat pureed baby food. But that presented a real problem, because I couldn’t be in the same room with pureed baby food! Kristi was getting therapy to help her deal with her texture issues, but I circumvented that – she had to eat what I could give her. She learned to eat applesauce sandwiches and whatever the other kids gave her. The therapist wasn’t too sure at first, but it worked, and Kristi started eating regular foods! And I stopped gagging at her mealtime. The terrible morning sickness finally went away just in time for our precious Andrew’s arrival. After 2-and-a-half years without him, and a 4-month wait to get him back, we finally got to hug our little man again! It was such a joy to have him back! I couldn’t look at him enough. But after the first few days, we discovered that we had our work cut out for us. Andrew had been neglected and not disciplined. We had many months of struggles with him because of the lack of discipline. Oh, how we wished we had been able to keep him all that time! But still, we had our boy back, so we would persevere. As we struggled to overcome some of the discipline issues, it became obvious that there were some we just couldn’t get past. We had some testing done, and found that part of the problem was that Andrew had Fetal Alcohol Syndrome. As a result, there were just some things that were not going to change easily, if at all. With all that was going on in our family, my pregnancy went by quickly. In April of 2003 I gave birth to our first “homemade” baby – Nathan. We ended up having an emergency C-section, but we had a healthy baby! We now had 7 children at home. At least I already knew what sleep deprivation was all about! I discovered that it was a little easier when you’re breastfeeding, but not much. I also discovered that breastfeeding isn’t as easy as some people make it look. I am so thankful that Ken’s parents were here for these months – Nana was a lifesaver! When Nathan was two months old we made a family trip to Alaska to visit my mother. What an adventure with six young children! (Jenny was unable to go with us.) We were flying from Seattle to Fairbanks, so we had to get all of our luggage and 8 people checked in through security (post 9/11) and seated on a plane. We almost failed before we even got in the airport! Four of the kids got in the parking garage elevator before we did, and the doors started closing! Ken and I had never moved as fast as we did in that moment. Both of our hands slid between the doors just in time. Whew! What would have happened if they had gone to the next level and gotten off the elevator? Ten-year-old Fancy would not have been able to control the group of 5-years-old-and-under children. I’m still praising the Lord that we didn’t have to deal with that. We got plenty of attention as we traveled through Sea-Tac. I had 3 or 4 carry-ons and a tiny infant in a front pack; Ken had 2 or 3 carry-ons and a toddler in a backpack; Fancy had a backpack and two 4-year-olds in harnesses, and Dale was picking up the pieces. To get through security we had to unload, unpack and unharness everyone, and take off all the shoes! Talk about holding up a line! When we harnessed up again, I put baby Nathan on my front in the pack, Kristi on my back in the backpack, and all 6 or 7 carry-ons on Ken. We sure were ready to settle on the plane! The remainder of the trip was great – we flew at night so the kids might sleep. It worked! We enjoyed a wonderful Alaskan vacation, and went home relaxed and happy. Shortly after our Alaska trip, Ken left his long-time job as a copier tech to become the Assistant Pastor at our church. He was able to teach at the church school, and he enjoyed the shorter hours and very short commute. That was such a fun time for everyone! Ken was home more, we were financially stable, we had a houseful of fun kids… It was great! This was a time of great progress for our Kristi Rose too – she learned to climb on furniture, could walk with a walker, and basically started running the house! What an answer to our prayers! The one sort of sad note during this time was that Jenny moved away to marry her college sweetheart. We were happy for her, but we sure missed her! We still had a very busy life. Andrew, Austin and Kristi were all in three different therapies two times a week, in addition to all the normal busyness of a large family. Before we knew it, our precious baby was a year old! How did that happen so fast? What is summer without a grand adventure? Our beloved oldest daughter was expecting our first grandchild, so we decided to travel to Indiana to be there for his arrival. We loaded up our Suburban, packed 6 kids, 2 adults, and 1 DVD player in the crevices, and camped our way across the country. Have you ever considered traveling 5,000 miles through 13 states over 17 days with six kids in one car? It was definitely an adventure! And, of course, the little stinkbug put off his arrival until two days after we left! We didn’t actually get to see our grandson, Ethan, until he was 3 months old. The summer of 2004 was eventful in many ways. Not only did we get to make that memorable trip, but we had many irons in the fire at our church. The kids were involved in all the activities, and Ken and I were both working in ministries. Our lives revolved around the children and the church. Fall 2004 was exciting too. October brought Jenny, her husband, Philip, and our grandson. They had decided to move Montana and in with us. At last we were able to get our hugs on our sweet little Ethan! In November we were finally able to finalize the adoptions of Austin, Kristi and Andrew. Yay! We all had the same last name! Andrew went to kindergarten the next day and very dramatically announced, “I have something important to tell you (to the whole class). We were adopted yesterday. We have a forever family now!” It made his teacher cry! The joy we felt in our circumstances was beginning to be tested by some rumblings in the church. There were some who disagreed with the pastor, and thought he should leave. As the crisis escalated, Ken was caught in the middle, and in December 2004, after the pastor had resigned, the church voted Ken out, too. For me, this change was almost as hard as losing Andrew had been. We had been deeply involved in that church for over 12 years, and we were leaving under terrible circumstances. The timing of this situation was interesting at best. We had just signed an agreement to sell our house because we wanted to move to a bigger one. Now we had no job, and soon, no house! One of our Christmas gifts that year was a positive pregnancy test stick from Jenny and Phil. They were ready to move into their own apartment, but they would still be nearby when the new baby came. We were so excited for them! They were going to have two little ones who were 13 months apart! When you’re living by faith, there’s no obstacle too big for God, and I guess He wanted to prove that to us, because shortly after Christmas, we discovered that we were expecting child #8! Jenny and I thought this was hilarious! My child was going to be younger than his nephew! But the reality was a little frightening - now it was no job, no house, and 7 children at home! God must have a plan, right? I was so sick with this pregnancy that it made my previous pregnancy seem like a walk in the park. There were days when I never got off the couch. Since we had left the church and school, I was home-schooling Fancy and Dale – from the couch. It seems funny now, but it was miserable then! We were about to close on the sale of our house, and we needed to find a rental soon. We looked at a few places, but doors kept closing. We kept praying that God would work it out, and we kept looking. A real estate agent friend suggested that we look at a large 4-bedroom house that was for sale. There was no way we could afford it, but she thought we might be able to rent it. We went and looked at it, and said, “We’d love to live here, but we can’t afford it!” Oh ye of little faith. After a few more doors closed in our faces, we called our friend back and said, “Can we rent it?” Surprise, surprise – God provided for the rent! Now we had to move. We moved out of our old house into the rental as the new owners were moving into the old house! God is never late, but He is seldom early! That move was very difficult because, as I said, I was stuck on the couch! With prayer and expensive herbal remedies, I was able to get off the couch long enough to organize the move – then I was right back on the couch in the new house. Praise the Lord that the nausea only lasted for 3 months! Once I could get off the couch, I started exercising, and started feeling wonderful. I was a healthy, strong 36-year-old pregnant grandmother! We obviously needed an income, so Ken started looking for work. He didn’t find any steady, 9-5 jobs, so he started substitute teaching. After subbing a few times, he discovered that he really liked it! He could choose which days he worked, and he would be home fairly early. Once again, God provided for our every need. In fact, during this time when it seemed that we should be struggling, we had everything we needed and more, and we were giving food away from our pantry and freezer. Before we knew it, the time had come for our baby and our second grandbaby to arrive. (The due dates were a few weeks apart.) We set a date for a planned C-section, and got everything ready. We set up a nursery in our room, prepared meals ahead of time, and planned our childcare situation. Just when we thought we had everything worked out, we heard that our wonderful, huge, comfortable rental house had been sold. What?! Don’t they know we’re having a baby soon? We quickly applied for a mortgage loan, and started looking for a house. Our second grandson, Aidan, was born 5 days before we were scheduled to have our baby. I was watching Ethan, so I wasn’t able to be at the hospital with Jenny, but it was such a joyful day. I got to hold my grandson the day he was born! We spent the last weekend before our baby’s arrival looking at homes for sale. It was August (hot! ), I was huge (huge! ), and I was lumbering up and down stairs in houses I wasn’t really interested in. Near the end of August, we went to the hospital and had a calm, easy, planned C-section. What a different experience from the first time! I was awake and aware of my sweet Caleb’s arrival! The weeks after his arrival passed quickly though, as we were busily trying to find a house to buy. Caleb didn’t seem to mind – he was just a calm, sweet baby who went everywhere with me without complaint. 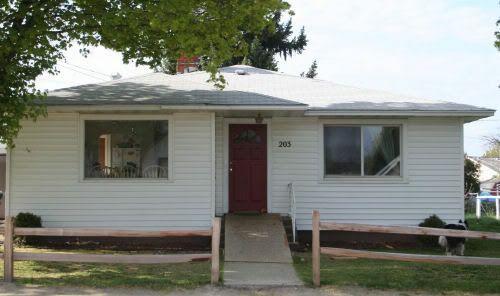 Just as we were beginning to think that we were going to be out on the street with 7 children, we found a house that was large enough for us, and in our price range. Praise the Lord! Once again, we moved out of our rental just as the new owner was moving in. God was right on time again! The process of getting the loan and buying the house was difficult and stressful, but once we moved in, we really loved our new home! Jenny and Phil came over to visit fairly often, and our large house was full of kid noise and fun. But as often happens, change was coming again. In July of 2006, Jenny and Phil decided to move back to Indiana. They stayed to celebrate Aidan and Caleb's first birthdays, and then they packed up their little car and headed east. That was a sad, sad day for Grandma! Life has settled down for the most part. We have enjoyed our new home, God has given Ken jobs he really likes and the kids are healthy and brilliant. (No bias there!) On May 7, 2007, Jenny gave birth to our third grandchild, a wonderful baby girl! We finally got to see all of them in February, 2009. What a wonderful visit! If you’d like to see what’s been happening since, please check out our family blog. Fancy and Ken left this morning for Indiana. I am so excited for Fancy, and I am very proud of her. She has come so far and become such a loving, caring young woman. I can’t wait to see what God does with her now! But I’m also sad because we are all going to miss her so much. I keep reminding myself that this is the way it’s supposed to be…they’re supposed to grow up and move on into life. That’s right. I made a video for the graduation party – it seems like just the thing to share on this amazing day in Fancy’s life – the day she steps out of the familiarity and comfort of Scrivnerburg and into the big, amazing world. Our Story Just Gets Better!